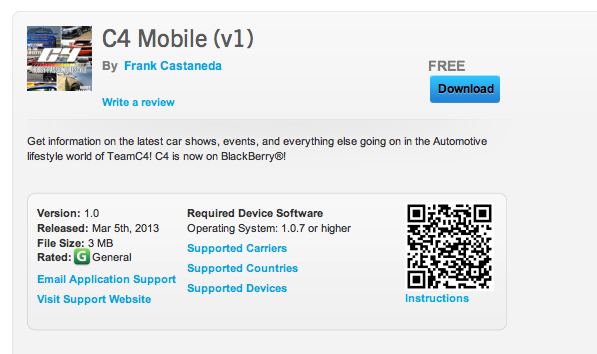 C4 Mobile has been approved and released for Blackberry. Working on BB6, BB7 and BB10. Also with BBM & playbook. Enjoy the lifestyle, now on Blackberry!